As president Steuart Pittman has quipped, the time has come for the Maryland Horse Council to “go big or go home,” and so, in order to “go big,” MHC is looking to “go pro” by partnering with a professional association management firm. Until 10 years ago, MHC was managed completely by volunteers (disclaimer: for about 15 years, The Equiery actually provided the management services for MHC, and is an ongoing sponsor of MHC). 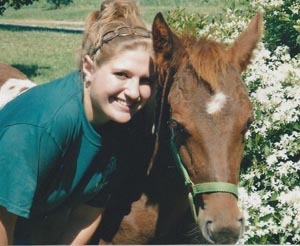 By 2006, MHC had outgrown The Equiery’s ability to manage it as a “volunteer” (i.e., donating our labor and our resources), and so MHC hired its first association manager, Vanessa Finney, who also worked part time for several other associations. Soon one of those associations snapped her up full time. MHC lobbyist Nancy Hill helped bridge the gap until Mythic Landing Enterprises was hired to provide administrative services. This was during the presidency of Steuart Pittman, and it was during his administration that activities and committees really began to rock and roll. (Steuart will be the first to admit that he was handed a gift by his predecessor, Mike Erskine, who had led the MHC leadership through a grueling self-examination, which produced short-, mid- and long-range plans and goals, a blueprint embraced by leadership since). When Jane Seigler became president, the organization had grown to such an extent that she became the de facto executive director, overseeing the professional administrative services provided by Mythic Landing. It should be noted that “executive directors” are generally paid, due to the intense level of administrative and management work involved, but Jane dedicated her time as a volunteer. With Jane’s tenure as president soon ending, it became readily apparent to both Mythic Landing and the MHC Executive Committee (which meets monthly to oversee MHC) that MHC needed more than professional administrative services. MHC is finally ready for a professional executive director and an association management firm. MHC is considering partnering with Grow & Fortify, an association management company specializing in value-added agricultural commodities. Clients include the Maryland Wineries Association, the Brewers Association of Maryland, Maryland Distillers Guild, various breweries, wineries and other value-added agricultural startups. In addition to providing association management services, Grow & Fortify also provides advocacy and lobbying services at the state and county levels, dynamically interacts with local zoning and planning boards, and helps to build cross-ag industry relationships. MHC has contracted with Grow & Fortify to help organize this year’s Maryland Horse Industry Day in Annapolis, its third annual, funded by an informal group known as “The Horse Industry Leadership Circle” (which also funded the recent economic impact study). All Maryland horse people are encouraged to attend this free meet-and-greet event with Maryland legislators. The 2017 Maryland Horse Industry Day is tentatively scheduled for January 31. For more information, stay tuned to equiery.com and mdhorsecouncil.org, or pick up more information during Horse World Expo. PreviousChristmas 2016 was good for Maryland Horse Industry: 23% growth! Tomorrow: how will you vote on Question 7? Spreading the manure & stream fencing: will Maryland horse farm owners become outlaws?